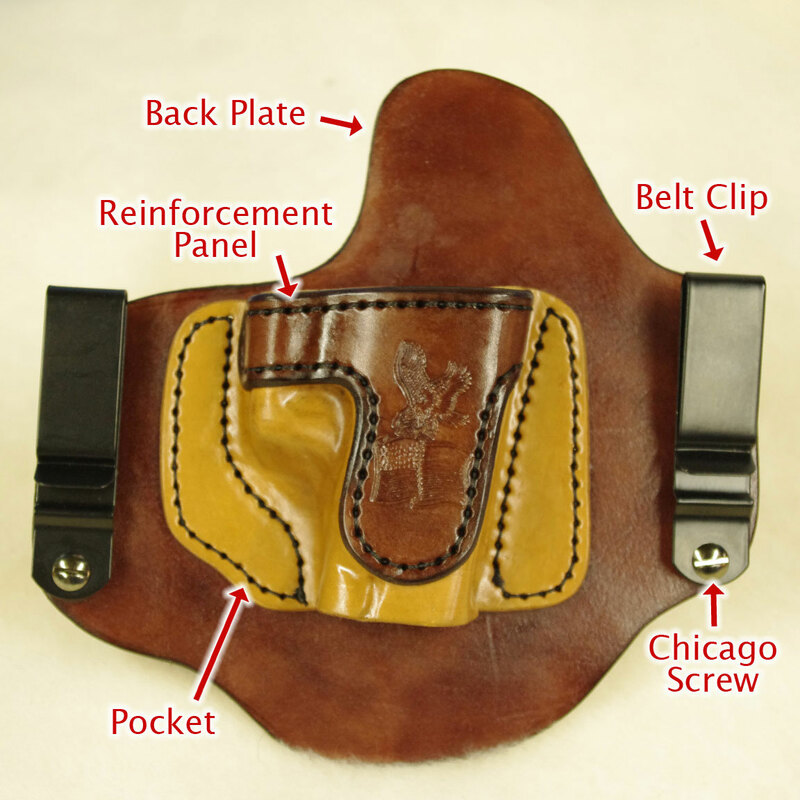 The image above shows the pieces and parts of an Invisi-Tuck Holster. 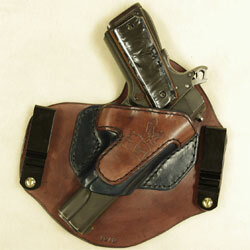 When you order you can customize your holster by ordering any of the leather pieces as different colors. Other than the Chicago Screws or the Belt clips the whole holsters is made of top quality leather and all pieces are glued and sewn to ensure a long life of service. I have a Colt Government 380. Is there an Invisa-tuck to fit it. 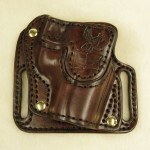 I can make the Invisi-Tuck all leather holster for the Colt Government .380. Can the back plate and pocket both be extended to cover the entire barrel and slide of a 5″ 1911? I have a problem with end of my slide wearing a hole in my jeans. 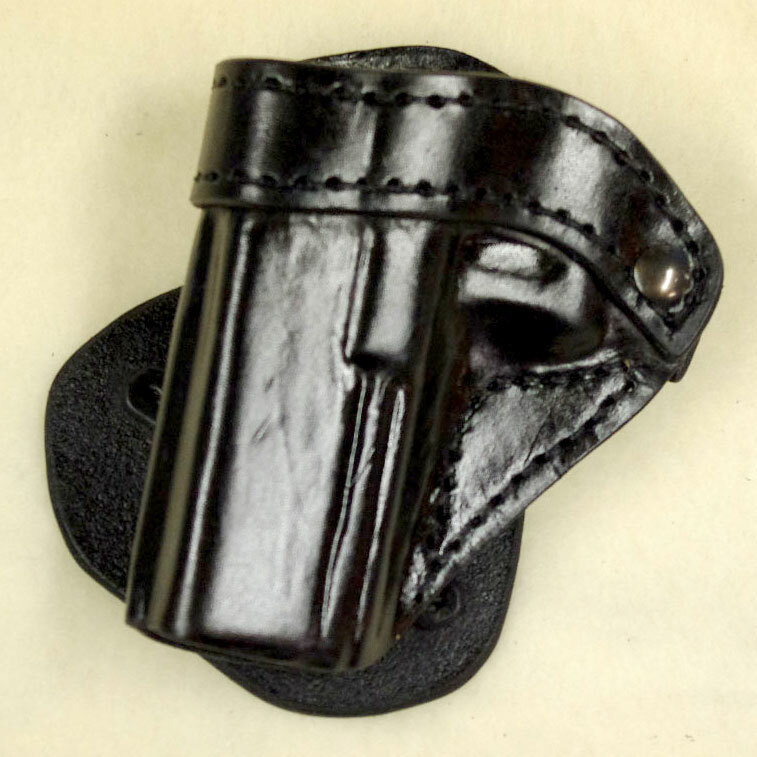 The back plate does cover the entire length of the slide but I do not make the pocket to cover the slide because it would cause the holster to budge to low in the pants. If the slide is causing holes in your pants it is more likely that your gun needs to be de horned (have all the sharp edges rounded) most of the time it is because of the squared off night sights that causes this problem. I BOUGHT AN INVISI-TUCK HOLSTER FROM YOU RECENTLY AND YOUR WORK IS SUPERB! 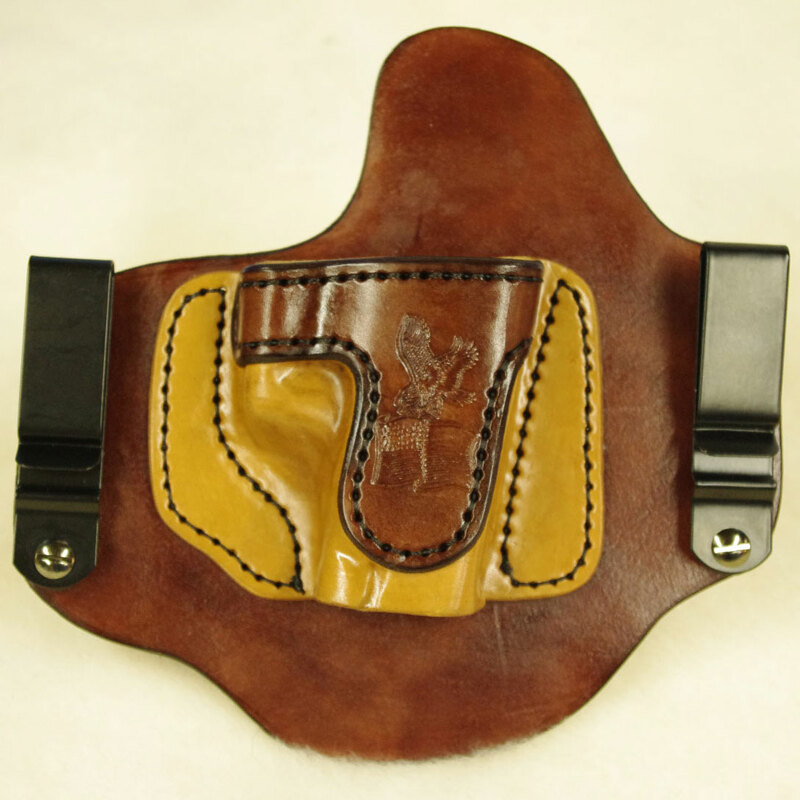 I WANTED TO KNOW TWO THINGS….#1 ON THE NEXT HOLSTER I ORDER FROM YOU CAN YOU LEAVE OFF THE EAGLE AND FLAG STAMPED IN THE LEATHER? AND #2 DO YOU USE ANY OTHER CLIPS OTHER THAN THE METAL ONES? 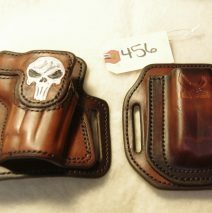 THANKS AGAIN FOR YOUR VERY FINE HOLSTER WORK! Thank you. 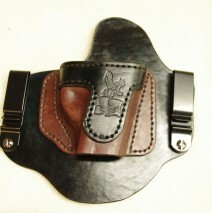 I can leave the eagle and flag off of your holster you just have to request it as this is may signature stamp. If I leave the eagle and flag off I will put my logo stamp on the back plate just to mark it as my work. I have not found any other clips that will hold up to every day use. The Kydex/plastic tend to break after a few months if you have a clip in mind that you would like you can contact me and I will see if I can get them for you. Can the top of the back plate be extended to cover the handle of a Colt Commander? The back plate can be made over sized but you will find that it will be difficult to draw the weapon with the extra material. I understand that is important for some people. 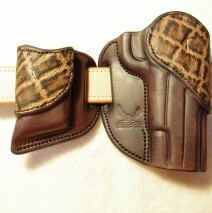 I will be happy to do that, there will be a $5.00 charge for the additional leather. Thank you for your question.